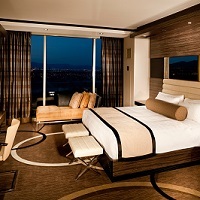 PR Travels is here to take care of all your hotel booking requirements. We book exotic hotels for clients in any destination across the world. The hotels we book for you have impeccable staffs and you will surely receive wonderful hospitality in these hotels. Book your hotels only with us and lodge comfortably in your destination. The range of hotels we book includes 5 Star Hotels, 3 Star Hotels, 2 Star Hotels, Guesthouse, and Luxury Resorts. Also, we provide conference rooms for meets with stay.